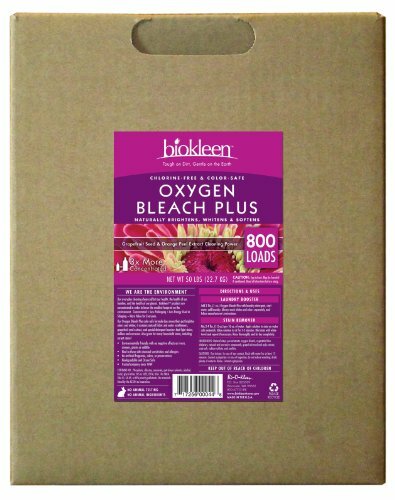 BioKleen oxygen bleach plus boosts your detergent with natural fabric and water conditioners and grapefruit seed extracts to remove tough stains and odors and for brighter whites and colors. Also great for many household stains. Naturally brightens, whitens and softens. 3x more concentrated. Brightens whites and colors. Fights stains and corrosion. Great for many household stains, including carpets. Safe for high-efficiency washers.